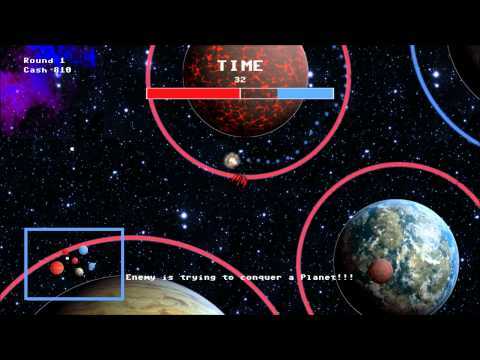 CEPINAS the innovative round based sci-fi Action / Strategy Game is coming March 2011 on XBOX Live Indie Games. Conquerer planets with the “CONQ” weapon, defend them against the aggressive invanders and become the new emperor of the universe. Choose wisely your path for victory, become a unstoppable one man army or make your conquered planets to self-defending battlestations. “From the beginning, I was focused to create a new and fresh gameplay experience”. said Petros Armatidis responsible for gamedesign and programming, Pame Interactive. CEPINAS provides a single player campaign mode with eight maps and a exciting online multiplayer mode.